First, you might want to peek at our analysis of this aspect on March 23, 2016 and August 3, 2015. The perfection of today’s square is the third in a three party sequence, and we will not see a similar pattern repeat until 2024 / 2025. Before we address the regular patterns, we should note some remarkable fifth harmonic activity. Two triangular patterns composed of fifth harmonic activity are present. One is formed by Juno (in Scorpio; trust v. betrayal, wives, sisters, daughters) at the apex and Sun in Gemini on one leg and Chiron in Pisces on the other. 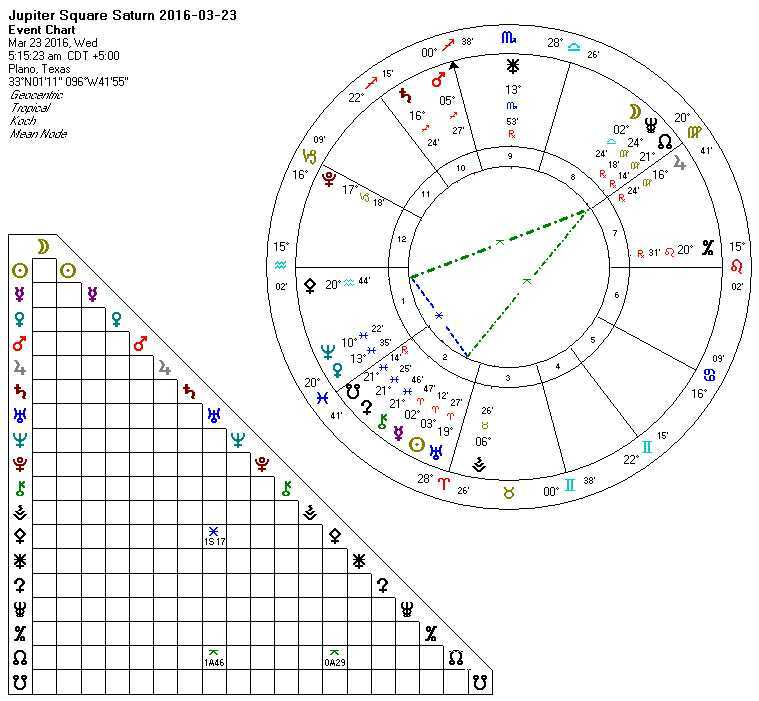 This Jupiter / Saturn square has this particularly powerful pattern in play. 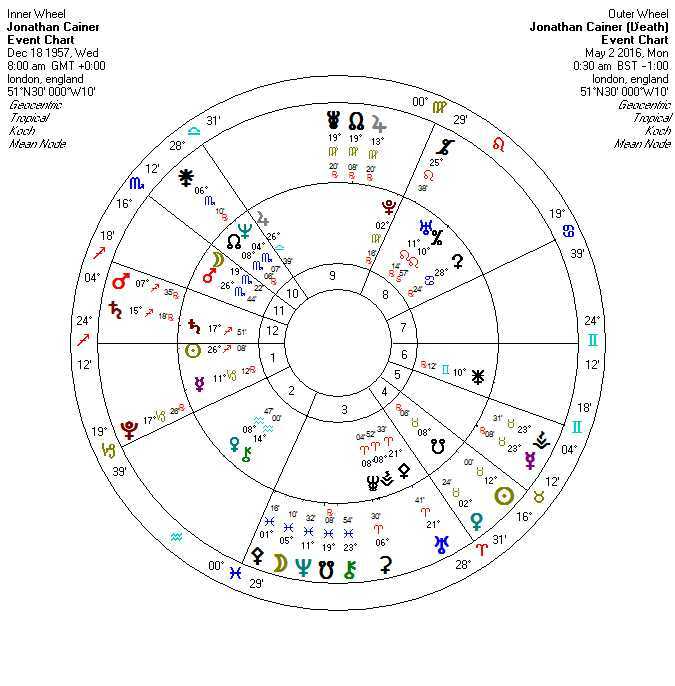 Jupiter/Saturn aspects are associated with changes in the financial markets, and we note that issues of trust (Juno) have become important (if you do not know this, then you need to watch “The Big Short” and “Money Monster“). The other triangular pattern has Uranus at the apex, Mars on one leg, and the North Node on the other leg. As with the first triangular pattern, each leg is a BiQuintile aspect (144 degrees) with Mars / Node separated by a quintile. We can expect surprises. All of this fifth harmonic activity signals the potential for creative breakthroughs and genius level solutions, possibly to problems in the financial markets. Sun, Ceres, and North Node in a triangular seventh harmonic aspect tell us that some “karma” may need to be considered at this time, and that karma especially deals with feast and famine (literally, in terms of food, and metaphorically, in terms of finances). The more ordinary patterns (if you can at all consider them that) are a Kite (opportunity), Hele (stable long term alliances), Rosetta (unstable long term alliances), and a Thor’s Hammer (aka God’s Fist, and an indicator of possible danger or violence). One variant of the kite has Jupiter / Neptune, Mercury, and Pluto in the formation (and includes the current and ongoing Grand Earth Trine in it). Let’s be clear the opportunity for someone to make quite a bit of money exists here. We will not present the “long term analysis” information in this post since that would duplicate the work already done here. Some time over a decade ago, and before I started this blog, I discovered the work of Jonathon Cainer. He was a standard “Sun sign” style newspaper astrologer in the UK, but he was also much more than that. His daily entries had a remarkable quality to them that I describe as “philosophical.” While others, myself included, would focus in on the details of what, say, a Sagittarius Moon / Gemini Sun type full moon had to say, Cainer would zoom out and speak in lyrical words of poetry about the bigger picture of such a turn of events. He was, in a word, inspiring. So, I was disappointed to discover this morning, May 19th, that he had passed away on May 2nd of this year, 2016. No chance now of him reading that email that I kept thinking about sending him for years but then not sending because I wanted to remain anonymous. No chance of somehow showing up in England and having a chance encounter where I might speak to him for a moment. The windows are closed, and the best I can do is an analysis of his birth and death charts (based on available data) in his memory. Cainer had other patterns also. He had a “Square Key” which is really two interlocked “Huber Learning Triangles.” These tell us what his biography said: he worked through some rather intense “karma” to reach the point he did in life. Life was not particularly easy for him in the beginning, and arguably it was probably fairly tough even after he had acquired fortune and fame. This is NOT an “easy” life. It is spent worrying about “what if” I had done something else. But Cainer was also born with the ability to accomplish much, and he did. 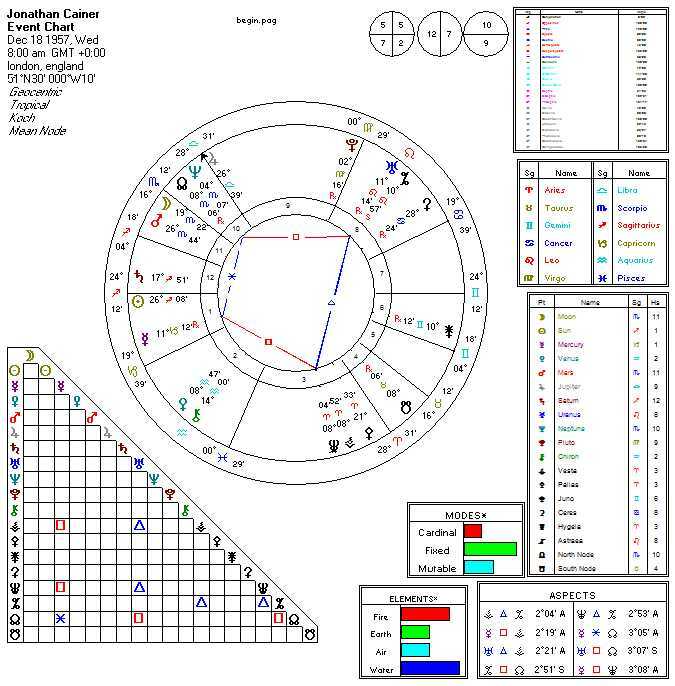 Finally, we see a Rosetta in the birth chart. We interpret this as “unstable alliances,” and from what we know this was true as well. He moved back and forth between newspapers as shifting alliances pushed him to do just that. Now to the death chart. A single pattern dominates: a hard rectangle! 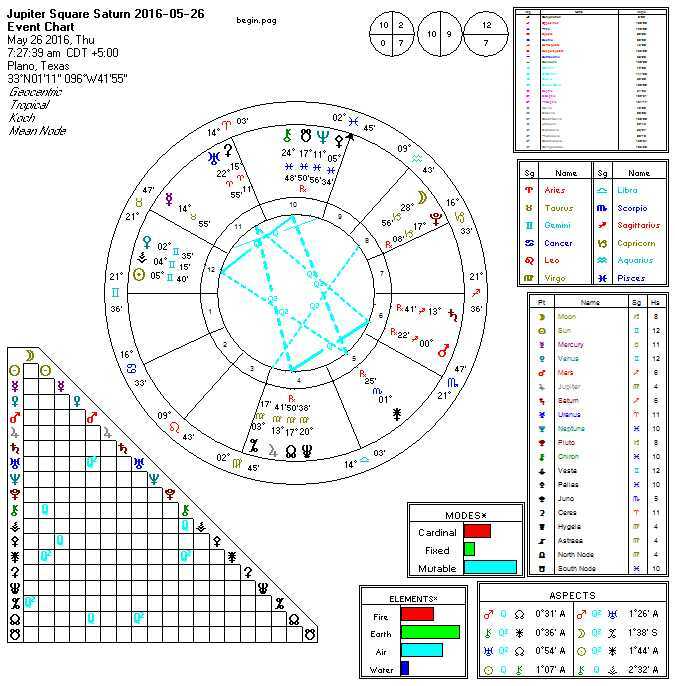 Finally, we present the bi-wheel without patterns or much analysis except to note that his second Saturn return was upon him (and the one for the author of this blog is not too far away either). Saturn returns often “take us home,” and that is what happened for him. 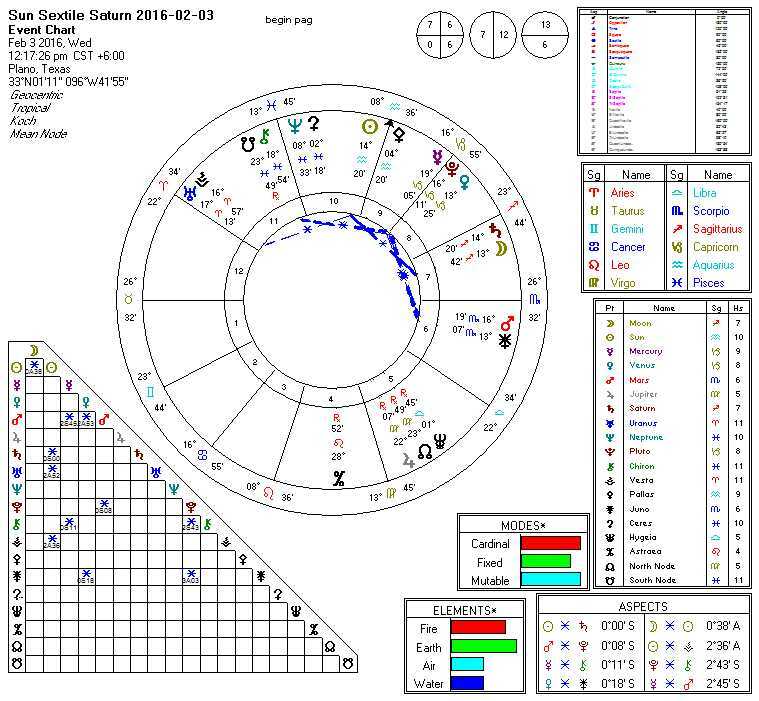 The Vernal Equinox was March 19th / 20th depending on your location (with Venus conjunct Neptune on the same day), and the next lunation (a Aries / Libra Lunar Eclipse (a special type of Full Moon)) wad on March 23rd (Jupiter perfects a square to Saturn a few hours earlier on the same day). Jupiter / Saturn has been exerting ongoing influence (especially on the financial markets), and this is the second of three with the first being last fall. For the eastern coast of the United States (aka the “East Coast”), the Vernal Equinox occurs today at half past midnight. (To determine the time for your locale, click here.) Venus (Pisces) joins Neptune (Pisces), and this is a very good “feel good” day but a terrible day to sign contracts or make long term commitments. Spiritual endeavors tend to prosper (as long as no long term commitment is involved). Pluto is active in higher order aspects to Pallas (ingenious plans, especially military in nature) and Vesta (traditions). Expect issues involving death and dying (or taxes) to surface today and be blended into spirituality. Today is the “Ecclesiastical” beginning of Spring (used as part of the determination of when Easter occurs). Moon is in Virgo all day and quite active. Mercury enters Aries in the evening and is void (v/c) prior to that. Communications and transportation problems may emerge during this window; do not buy a vehicle, computer, or phone during this time. And, whether we are aware of it or not, we are preparing in some way on some level for what the upcoming Lunar Eclipse (Full Moon Aries / Libra) will bring us. Moon becomes void only a few hours later, making it difficult to accomplish anything lasting today. Stick to routine tasks and plans for action after the eclipse on Wednesday. Moon is void in Virgo all day long, entering Libra 10:23 PM PDT / 11:23 PM MDT in the swestern part of the United States. Again, stick to routine tasks and plans for action after the eclipse on Wednesday. 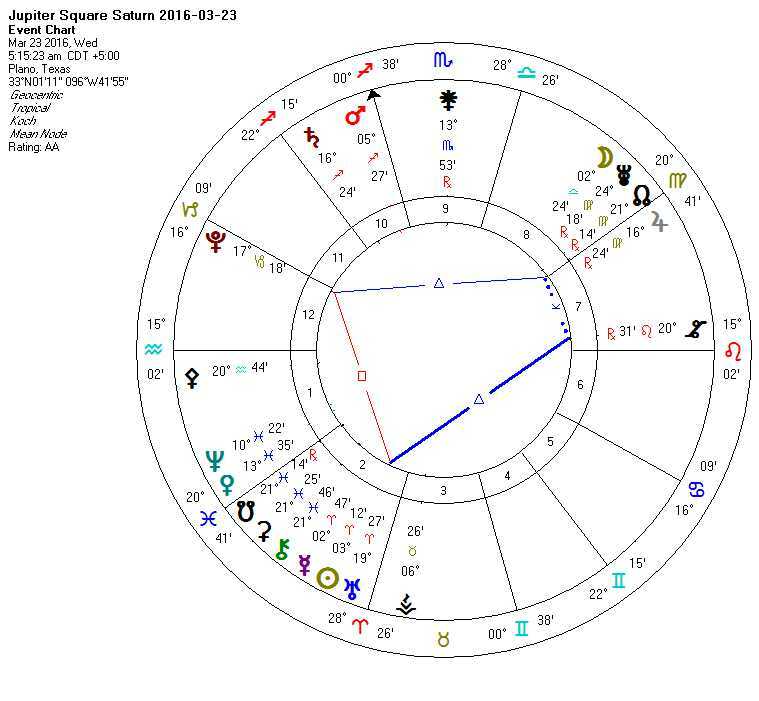 We have a double header with Jupiter Square Saturn today along with the Lunar Eclipse (Full Moon Aries / Libra). 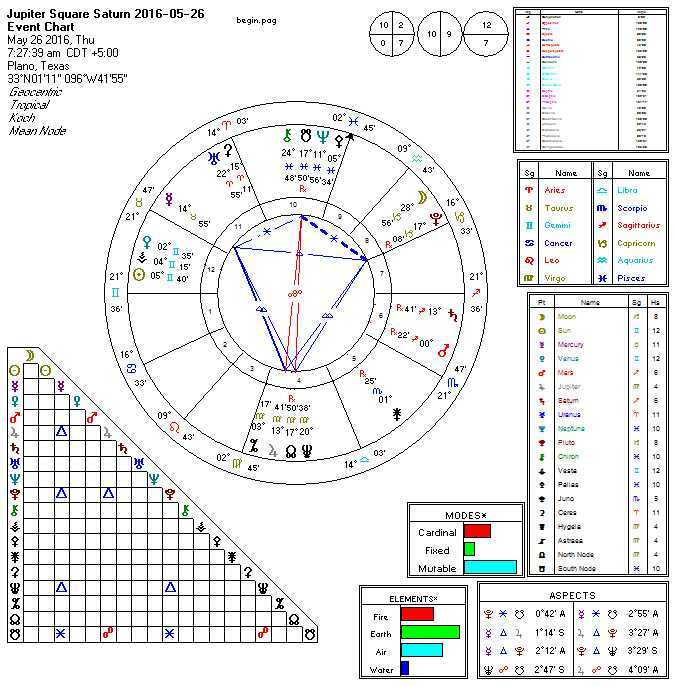 Note that Jupiter / Saturn will perfect again May 26th, and this aspect exerts continuing influence from February 14th of 2016 until October 28th of 2016. Chances are good this week, maybe today, will mark an important milestone in this window. The eclipse punctuates that. Sun conjoins Mercury circa 3:11 PM CDT, and the window form 2:40 PM until 3:40 PM CDT is particularly useful (Cazimi) for key actions involving communications or transportation. You can buy that car, computer or phone if you can seal the entire deal during this window. Mercury trines Mars today, and you should accomplish all you can prior to Moon becoming void of course after its opposition to Uranus. The aspect (the opposition) can bring some very smart ideas, but you need to wait until you have more information, some time Friday afternoon (tomorrow), before you attempt to put those into action. Take this “time off” to do as much research as you can and lay the foundation without making any major commitments to move forward. At 1:10 PM CDT the Moon moves into Scorpio, but you still may want to wait a few hours to put into action your plans from yesterday evening since the Moon is in the “too early to tell” period (also known as a “sign change boundary”). You MIGHT can make “it” work (whatever “it” is), but the venture will be risky and require significant concentration to make “it” work. Venus (Pisces) opposes Jupiter (Virgo) and squares Saturn (Sagittarius) today, forming a mutable T-Square. The T-Square will give you great energy, but mutable T’s are about finishing the tasks at hand (bring them to completion), cleaning up, and laying the groundwork to launch the next major endeavor. As far as “getting things done” goes, Saturday is a powerhouse, the best day this week. If you did not launch your new project yesterday, then launch it today and accomplish all you can today. Set leisure activities aside for another day, and focus on accomplishing the most important tasks today, especially anything part of a larger project. Sun (Aries) trines Mars (Sagittarius), Venus (Pisces) sextiles Pluto (Capricorn), and the Moon has MOSTLY favorable aspects (two small glitches, one in the early morning hours and one shortly before 8 AM CDT; you can move past these and SHOULD do that). Get’er done! Moon turns void, and yesterday’s windows close. If you did not achieve completion, then you must put it on hold or stick to routine activities only (possibly at risk even with those). Today is not a “bad” day, but you will find it difficult to achieve lasting results today. Use this as a “day of rest” from yesterday and stick to cleaning up and planning for forward action on another day. We are discussing Jupiter Square Saturn, but we first need to point out that this is a LONG TERM ASPECT. If you are in the habit of checking the newspaper or website for your “forecast today,” a fortune cookie of sorts, then you likely will NOT understand this. This REQUIRES a long-term point of view. Notice that this aspect (Jupiter Square Saturn) has been in play since February 14th (Valentine’s Day, and a rather amazing day astrologically though we were unavailable to develop an analysis for that particular day. ), will perfect again May 26th without losing any influence, and move out of influence June 26th (also the date of the perfection of the third of three Jupiter Trine Pluto aspects). It will come into influence again shortly before the election and continue past the United States Presidential Inauguration in 2017. This is no ordinary T-Square. While Venus perfects it (and is more transitory), if you are willing to loosen your orbs a bit we can consider Neptune to be conjunct Venus (recently perfecting a few days ago) and part of the T-Square. Neptune is at home in Pisces, Venus is in exaltation, and both are different faces of each other. They are powerful, far more powerful than either Jupiter (in Detriment) or Saturn (not well placed in Sagittarius). So, in at least this case, we really need to look at Venus / Neptune to get a “real” idea of what is going on here. As I hinted earlier, I believe the “real” idea is a hint of a major financial shift later this year. Venus rules finances (and financial markets), and Neptune stresses impermanence. If such as change does happen, my guess (again) is in May, August, or October. Let us be clear: this is a long term aspect though the eclipse makes today in particular important. Because this is a long-term aspect, at a minimum, last week and this week are particularly important in the period from February 14th to June 26th as well as the long term effects from the decisions and events that occur during this period. If you want to review the events of this week (W13), click here. That would be enough, but Jupiter quincunx Uranus perfects today. You have felt it building for the last few weeks in the form of a sense of false hopes or miscommunications between issues of bookkeeping or accounting, healthcare (especially healthcare professionals) and issues involving a battle between order and chaos on one hand, and issues of energy, the ability to accomplish tasks, possibly anger or violence, and leadership. It is all very complex, and you will have to identify how it applies in your particular situation. But, some time this weekend through the upcoming eclipse you will likely see things “come to a head” in some way. Change is afoot, and “things” will be different after Tuesday. Mercury semisquares Uranus and any angry words we have spoken in the last few days resurface and may be amplified. For some people, they will be broadcast and re-broadcast. Be careful what you say. Vesta (traditions and “doing things the way we have always done them” is void until 6:50 PM CST and this further contributes to “things” going awry and unintended consequences. You may have some good ideas (Mars quintile Jupiter), but consider writing them down and saving them for another day. 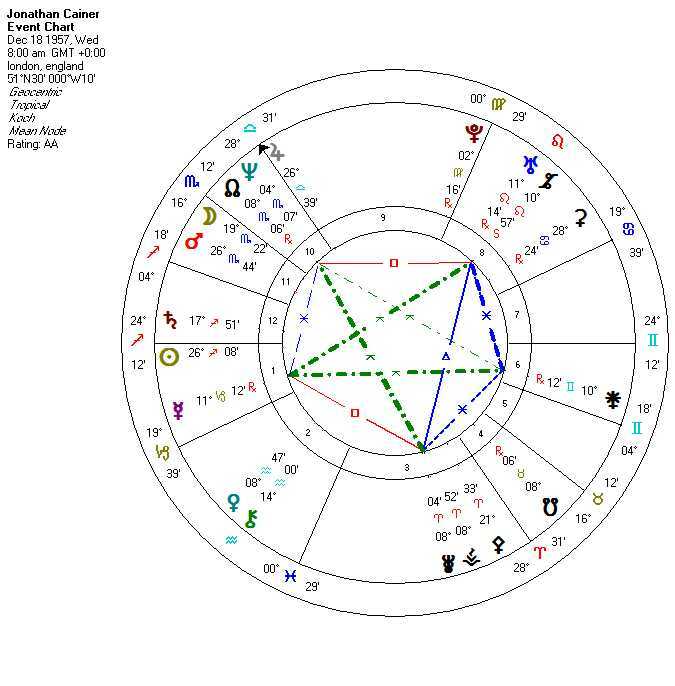 A Solar Eclipse perfects tomrrow and the Moon is very “old.” That makes this a better time to “clean house” (literally or figuratively) and reflect rather than take action on new projects. Today is the day of the Solar Eclipse, a very special type of New Moon. Sun and Moon join together and each oppose Jupiter (with each individual opposition perfecting at slightly different times on this same day in most time zones). Saturn (Sagittarius) squares this combination to form a T-Square. Virgo / Pisces (and Sagittarius) issues are at the forefront as we begin a new cycle in more than one way. The New Moon governs the 28 day lunar cycle, but the messages of the eclipse apply at least until the other eclipses later this year. Ceres (prosperity in general and food in particular) BiQuintiles Black Moon Lilith (a point governing taboo issues in general and taboo sexual practices in particular). This is a difficult aspect to interpret, and we suggest you identify how it applies in your individual situation. Pallas BiQuintiles the North Node (another point, associated with karma), and we may have some important ideas about how to handle difficult “karmic” situations in our life. Whether perfection of the eclipse fell in on yesterday in your time zone or on today, you will still “feel” it. As we move further past the eclipse, we can start thinking about taking action on some of the ideas that we have noted on previous days. This is a busy day with a number of higher order aspects perfecting. We note Sun conjunct Chiron today. This is an annual aspect that brings health, education, mentoring, and “the Wounded Healer” to the forefront. Venus quadrinovile Jupiter tells us that we can learn an important lesson or skill that will serve us well in the future. Keep in mind that this might seem like something trivial because Quadrinoviles often bring us skills that are useful in thefuture (but not yet currently). Mercury novile Uranus may bring us one or more additional lessons. Venus quintile Saturn may also bring us a smart, but practical, idea. Septiles suggest that we help someone less fortunate than ourselves. An early morning Mercury Sextile Saturn aspect continues to exert influence, and we need to pay attention to details today. Morning quincunx aspects of the Moon frustrate many of us living in the Western Hemisphere, and “getting things done” can be difficult or maybe even impossible. In the afternoon we can finally move forward and accomplish a few tasks that the morning would not let us do. The Moon is very active today but void soon after 5 AM CST. Getting things done can be difficult, and re-dos may be necessary. But Mercury (Aquarius) sextile Uranus (Aries) brings brilliant ideas to writers, speakers, actors, spokespersons, electrical engineers, computer programmers, and inventors of any kind. Even if you cannot act on these ideas, write them down in as much detail as possible. They will be useful to you later. Moon enters Scorpio a little after 6 AM CST, but Mercury quincunx Jupiter tends to ruin the day for many. Overspending on something overhyped that does not worked as intended leaves a bitter taste in our mouth for many. As the old say goes, “if sounds too good to be true, it probably isn’t.” Defer major purchases to another day, and do not pin any major expectations on people to actually live up to their word today. Alternatively: do not promise anything to anyone no matter how simple and easy it “seems” it would be to do. Another busy day greets us, especially with lunar aspects. Jupiter opposes Chiron, then the Moon joins Jupiter and immediately opposes Chiron. Health, healing, work, play, and education issues continue from yesterday. Really, no rest for the weary today. Some of us are still feeling Jupiter opposite Chiron. It has been building for weeks, and we will still feel it at least through the end of Pisces 2016. It touched us in November 2015, and it will touch us again in August of 2016. Health and healing issues (and all things of Jupiter / Chiron) are central issues during this period. We have something of a break, at least from the frantic lunar aspects, today as a void Moon swallows most of the work day in the Western Hemisphere. 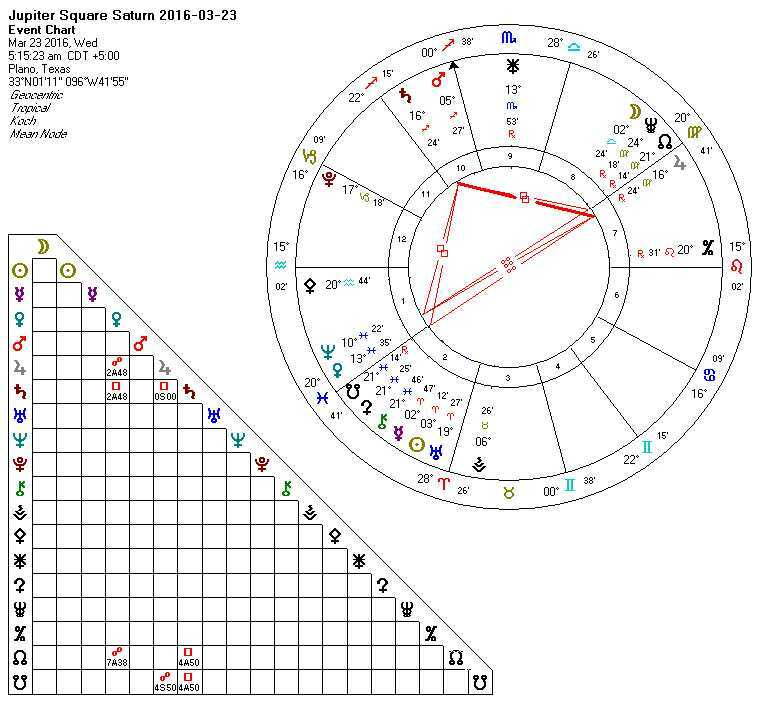 Moon moves into Libra at 4:42 PM CST after going void at 8:23 AM CST on this same day. It is a bit of a “day off” to recover and process the hectic activity of the past few days. Use the time to center yourself (and clean house) wisely. An early morning Mercury / Saturn sextile tomorrow influences today and tells us to pay attention to details especially when doing anything even remotely important. Outer planet aspects are relatively quiet with the most important one being Vesta Quadrinovile Juno. Something about our traditions or customs somehow can or does protect us in matters where trust is an issue. Stick to well-known and tried and true methods and ideas during this time and steer clear of anything remotely weird or “creative” offered by others on this day. If you have creative ideas yourself, write them down and save them for another day. Venus semi-sextiles Neptune, so you WILL be tempted. Just know better and do better. And, as we mentioned before, pay attention to details. Whether you are scammed today or not, pay attention to details so that you can spot some similar scheme in the future. Issues involving prosperity (Ceres, particularly food), the legal system (Astraea), and power, police, and finances (Pluto) are in play here. The scam might be a scammer on the phone (or in email) posing as your “bank” or posing as the “police.” Do not be taken in! Hang up on them and CALL the bank, or police, directly yourself. Let’s be clear, for many of us “something” is up today. Chances are good that they will play loss aversion on you: “ACT NOW to prevent xyz loss. We are trying to help you.” Bite on this lure, and you will become the fish fry for supper. Don’t fall for it! Pay attention to details: did you get the area code, license plate number, etc.? (Keep in mind you CAN win here! Just don’t take the bait, and capture the details to report to the (real) police, bank, etc. We are still feeling the power of yesterday’s New Moon in Aquarius (and start of the Chinese New Year, the year of the Yang Fire Monkey). Today is dominated by Mars Trine Chiron and the early morning entry of the Moon into Pisces. Mars Trine Chiron is all about healing issues, and so can be the Moon in Pisces. With Moon in Pisces, “healing” can take the form of creativity (poetry, lyrics, photography, video) or anonymously helping others less fortunate than ourselves without any thought about some later benefit to ourselves. Mercury forms a novile to Saturn, and we may learn an important skill involving details or paperwork. Vesta (traditions) is quite active: (1) Chiron semisextile Vesta; (2) Mars quincunx Vesta; and (3) Vesta triseptile the North Node. We have to address tradition and “doing things the way we have always done them,” and we continue to receive indications that some of those traditions are due for a makeover if not outright radical change. Venus perfects a semi-sextile to Saturn early at 7:15 AM CST. 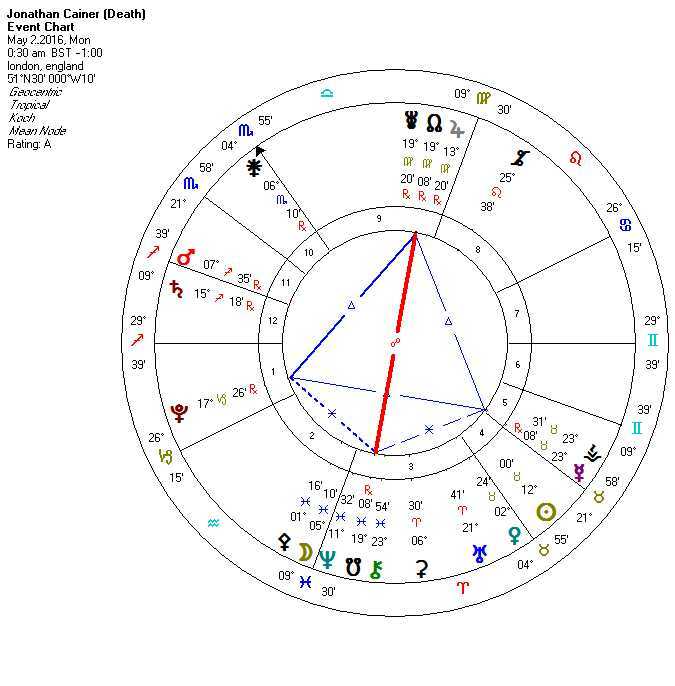 Moon becomes v/c (void of course) after perfecting a square to Jupiter at 4:04 AM CST and the moon stays void until entry into Capricorn at 6:45 PM CST. Moon square Jupiter tends to lead us to overeat or overspend. This is both a day in which we are cleaning up from Wednesday AND a very “metaphysical” day. The early Venus Semi-Sextile Saturn aspect makes this feel like another workday, but even more than previously please do stick to routine and resist the temptation to follow the absurd or extreme. You will see the wisdom (or folly) of your actions by evening. Outer planet aspects include Uranus conjunct Vesta (a followup from Monday). Mars Semisquare Hygeia brings in issues from Tuesday and give them a powerful sense of urgency. But, the moon is void for most of the workday, and we find it difficult to accomplish certain tasks despite their pressing urgency. We note that (1) this is a repeating annual aspect that (2) occurs in mirror images (twice a year) and (3) the next aspect (the mirror image) is October 4th and affects roughly a week long window (as does this one). 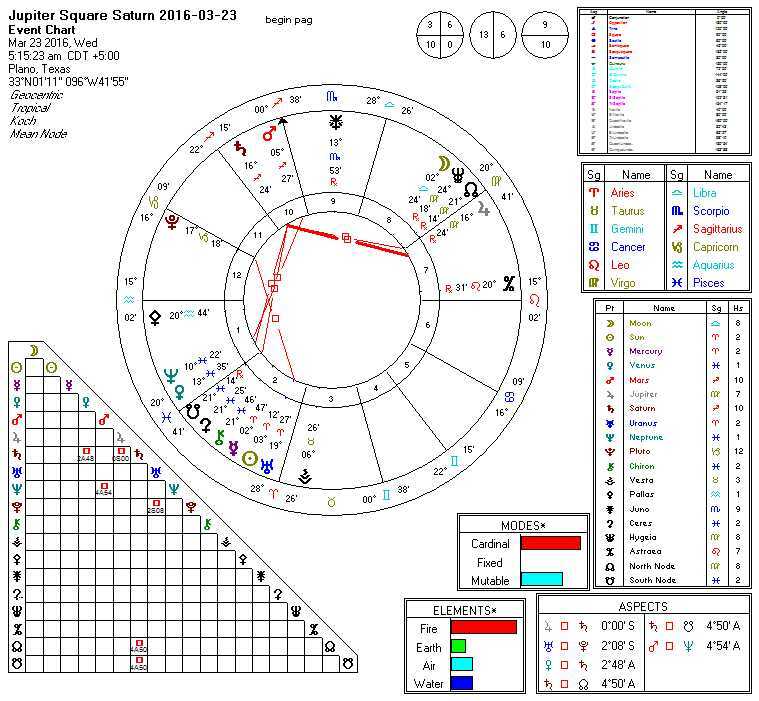 The previous Sun Sextile Saturn was on September 23, 2015, and the conjunction occurred November 29, 2015. A check of your notes (or diary) on (or near) those dates might provide insights to your current situation.